Directed by Jeremy Saulnier. With Chris Sharp, Kate Porterfield, Tess Porterfield Lovell, Puff Snooty. 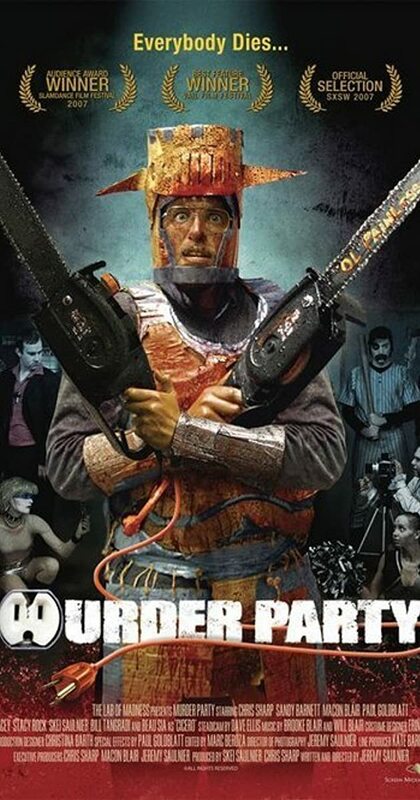 A random invitation to a Halloween party leads a man into the hands of a rogue collective intent on murdering him for the sake of their art, sparking a bloodbath of mishap, mayhem and hilarity.